I have been receiving allot of comments and suggestions so keep them coming. One of the re-occuring requests is that I add video to the site, so I am doing exactly that. About every 2 weeks I will film a video update and post it here on the Web Traffic News Blog. This video update discusses how I lost access to one of my other traffic blogs, 2 guys who you should know about and how they relate to web traffic and I ask a question related to blogging as well. I recieved some great comments on this video when I posted it at Facebook so be sure to add you two cents if you have not done so previously? Leave your comments below and tell me if you liked this update or not? The Web Traffic News believes that backlinks are critical to increasing website traffic regardless if you have a static website or a blog. To get quality backlinks it’s important that you write content that is well written and interesting to your reader because they are the ones that are going to backlink to it if they like it. There are other mehtods one can use to get backlinks aside from writing blog posts. You can try article writing, video submission sites, guest blogging, etc. In the situations that I just mentioned when other people view your content and they like it, the chances are that they will add your link to their page. One way backlinks will help you gain the traffic you need in order to see a rise in your online exposure and potentially your business profits. 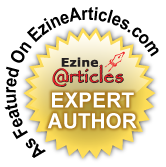 As mentioned above article directories are a great way to create traffic and backlinks. Both bloggers and businesses alike should write top quality articles and submit them to the directories. Not only will you get a backlink on a directory that ranks high in search page ranking, but other people will also link to the site if they find the article useful and informative. Another method not previoulsy mentioned is that you can pay for the services of a company that buys backlinks for you. There are several companies on the internet that provide this service at an affordable cost. Make sure that you clearly understand which directories are included in your cost. It is also important to note that some search engines frown on this method of link collection so if the quality of the backlinks you purchase are not high you may actually be penalized for them instead of them being a help to you. One way backlinks are vital in getting your web page or blog noticed. Getting allot of web traffic will increase your page views and help you to move up in the page rank system. Moving up in the search engines will ensure that your site gets picked up by the search engine spiders as well. A good site to link back to for the web traffic and blog traffic plus online news is this one. I link back to all sites that link to the Web Traffic News. Please leave a comment and tell me how backlinking is working for you? Blogging is a good way to drive web traffic to a website. Blogging is also a solid online business model however, you must know the difference between the two! Writing and publishing articles online is an excellent way to drive traffic to a website or blog!